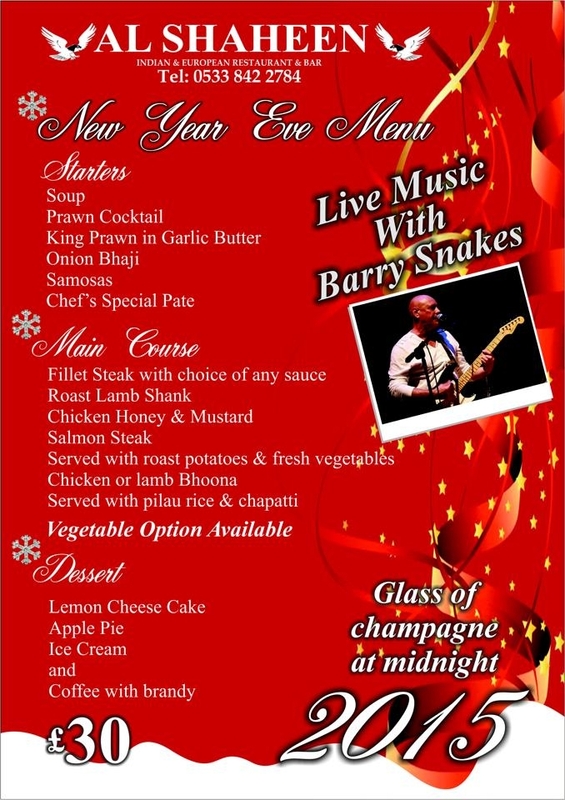 Yes folks, we are arranging for the fabulous Barry Snakes to keep you entertained as we go towards the magical hour that heralds the arrival of the New Year 2015 when you can toast its arrival with a glass of champagne. This promises to be a sparkling evening with lots of fun so if you would like to join us please call Imtiaz on 0533 842 2784 or 0392 842 2784 to book your table and in the meanwhile let your mouth savour the potential feast you can choose from. This entry was posted in Special Events and tagged Al Shaheen Restaurant, Barry Snakes, Celebrations, Karakum, Kyrenia, New Year by kyreniacommentator. Bookmark the permalink.